In an attempt to awaken Cicada’s niece from her coma, Sherloque transports some Earth 221 tech to Earth 1. The intention is to enter Grace’s memories, to liberate her consciousness. As you can imagine, things do not go according to plan. This season has just delivered one of it’s best episodes. One of the things I really love about this show is the writing. With the character of Sherloque we get some cracking easter eggs. 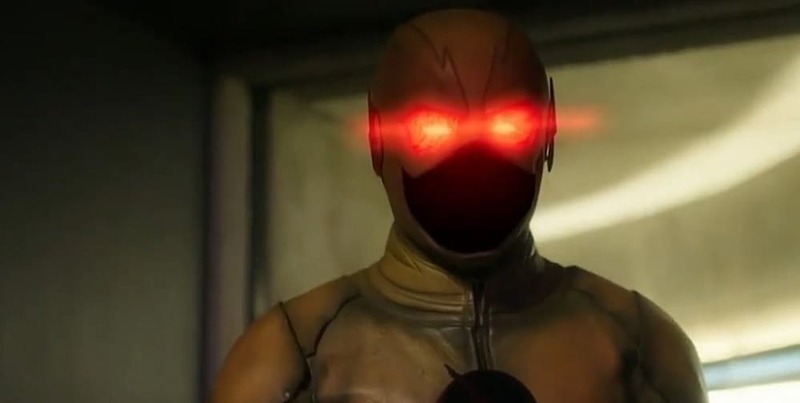 The fact that the character comes from Earth 221 is pure genius, and very funny. For those readers who aren’t complete Übergeeks, like myself, this is a direct reference to Sir Arthur Conan Doyle’s most famous creation; Sherlock Holmes. The great detective lived at 221B Baker Street, and there’s even a museum dedicated to the character in Central London close to that actual location. I’m a sucker for whacky comic-book technology, and mind reading, so this episode ticked a lot of boxes for me. When added to Nora’s dilemma, and the secrets she’s been hiding from her parents, the ramifications of this episode could have very serious repercussions. Every member of the cast shines this week. Barry is as heroic as he can be, Iris continues to grow as a mother and as a reporter. 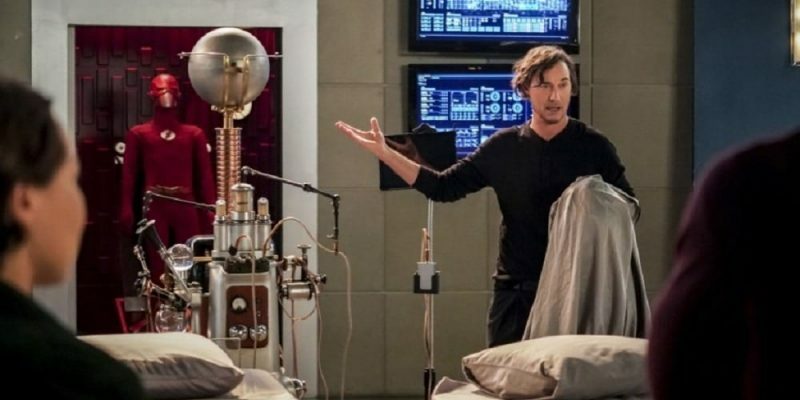 Tom Cavanagh’s Sherloque is incisive and intuitive, while Jessica Parker Kennedy continues to impress as Nora. The scenes inside Nora’s mind and that of young Grace Gibbons are terrific. Not only do we finally see a glimpse of Nora’s future Earth, but we start to understand why her relationship with her mother was so strained. It’s heartbreaking to watch this family slowly come together knowing the secret she’s keeping from them, and how it could potentially rip them apart. 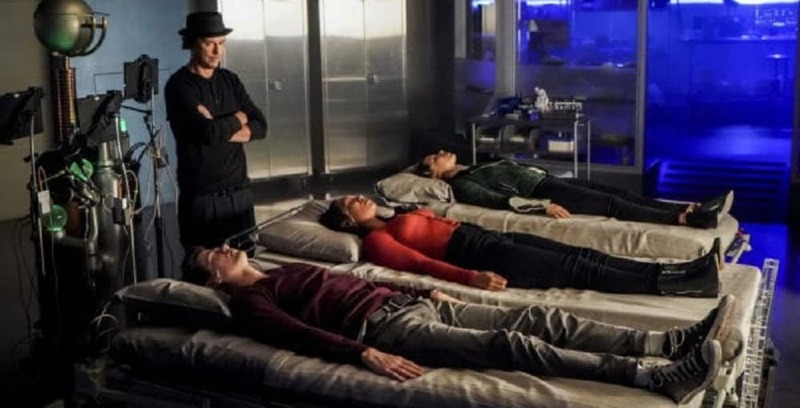 While Barry and Iris experience their daughter’s emotional turmoil, Nora herself deals with Grace and the effects of being trapped in her own memories. I really don’t want to give anything away, but young Islie Hirvonen, who plays Cicada’s niece, gives an amazing performance. This young actress showcases a huge range of emotion and acting talent in this episode. There’s always something sinister about cute kids with a dark side, as fans of Teagan Croft from Titans can attest. Islie goes from hugely sympathetic, before undertaking a stunning transformation, which makes her a far more impressive and frightening villain than Chris Klein is, was, or ever could be. This episode leaves us with a lot to think about. 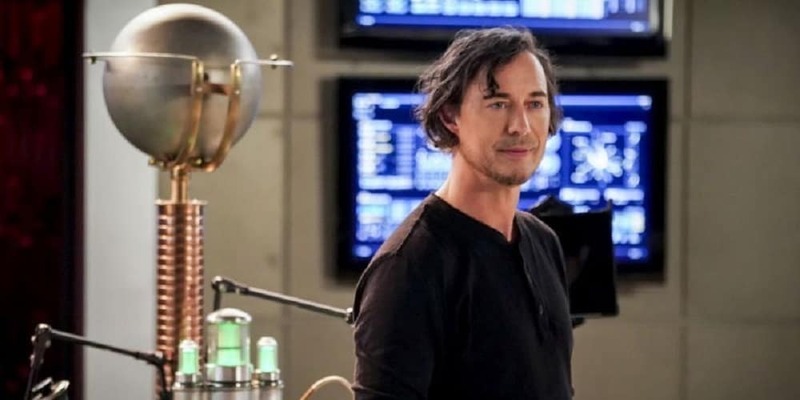 Nora’s relationship with Thawne, Grace’s catatonic state and Cicada’s metahuman fixation. 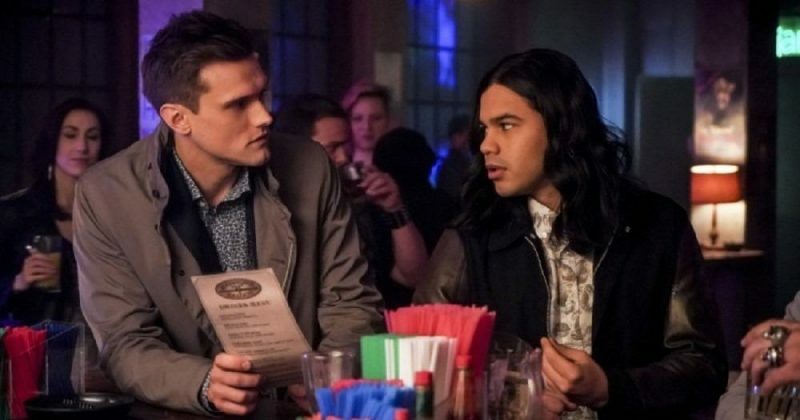 Not to mention Cisco and Caitlin’s theoretical cure, and the ever looming threat of Flash’s imminent disappearance. The writing, direction and the hugely talented ensemble cast keep me coming back, week after week. This episode was easily one of the best this season, so I can’t wait to see what happens next.